Before I get into Qatari dress, there are a couple things worth mentioning. First, I'm not an expert on Qatari attire. Everything I've learned and written about here is the product of casual observation rather than a deliberate course of research. Second, there's basically no difference between traditional dress and daily dress. In other words, it's very rare to see a Qatari wearing non-Qatari clothing (like a business suit, for example) in public. The attire I describe here is not a once per year on National Day sort of thing. This is what people wear every day. And they really wear it well, too. I think it's safe to say that most Qataris take a lot of pride in their physical appearance. I've never seen a stained or patched garment or one that didn't appear perfectly pressed and nearly flawlessly fitted. Qatari women wear a black garment called an abaya which covers their entire bodies except for their hands, feet, and head. As I understand, it's designed to be worn over whatever else the woman happens to be wearing that day, like a dress or jeans. Some wear gloves on their hands, and their shoes are generally not visible because the abaya comes so close to the floor. When shoes are visible, it's not uncommon to see really fancy high heels sticking out from beneath an abaya. Qatari women cover their hair and neck with the hijab and many of them cover their face with a niqab. Sometimes women cover their entire face, including the eyes, with a sheer piece of fabric. In that way, it's possible for a woman to cover every bit of skin from head to toe. Some older women wear a mask known as a battoulah which is either made of metal or stiff paper (I'm not sure). I don't often see women's faces because of the variety of face covering garments, but when I do, I often see them wearing heavy makeup. Sometimes this seems an odd juxtaposition with the propensity to cover up in public, but I've never asked anyone about it so I'm in no position to judge. You should probably take my makeup comments with a big grain of salt, though, as my makeup meter might be broken (or at least in need of recalibration) after having lived in nearly-make-up-free Portland for 8 years. 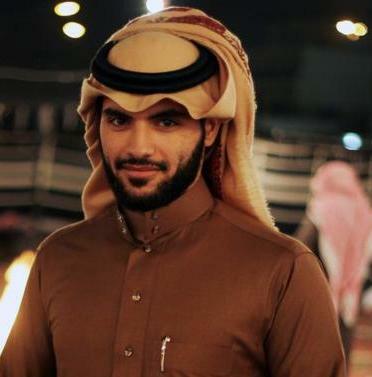 Men wear a garment called a thobe which begins at the neck with a stand-up or turned-down collar and descends to the floor like a too-long dress-shirt. There are buttons from the collar down to the mid-chest, sleeves to the wrist, and cuffs secured by fancy-looking cufflinks. The vast majority I've seen in public are white, but occasionally in the winter I'll see men wearing beige thobes or ones of other light, solid colors. Based on the prevalence of men's tailors in Doha, I'd guess that most men have their thobes custom-made. The traditional head garment for men is a piece of fabric (usually white, though sometimes checkered red or other colors) called a ghutrah which is folded into a triangle and then draped over the head (think Yasser Arafat). Most are cotton or a synthetic fabric, but occasionally you'll see them made of very fine wool. A piece of coiled rope called an agal holds it in place and allows the formation of special folds in the crown of the ghutrah. In Qatar (though not in Saudi Arabia) there are a couple tassels connected to the agal which hang down the middle of the back. I'm not sure if it's true or not, but I've heard agals were traditionally used as a tie around a camel's feet to prevent its escape. For shoes, most men wear slip-on leather sandals, like these. Although my daily attire in Qatar isn't that different from what I wear in the United States, I do have a cheap thobe which I purchased for 45 bucks at Carrefour, one of our local grocery stores. It misses the floor by a few too many inches to look totally legit, and doesn't have French cuffs, but it gets the job done. When I wore it to school on Qatar's National Day in December, a Qatari administrator at our school said that it makes me look like a less vain, more devout Muslim because it's not perfectly tailored. Sort of an odd compliment, now that I think about it, but I'll take it. This is the second installment in my Qatar Questions series, in which I answer questions that people have asked me about living in Qatar. To see all of the posts in this series click here. If you have a question you'd like me to answer here, let me know in a comment below or get in touch.